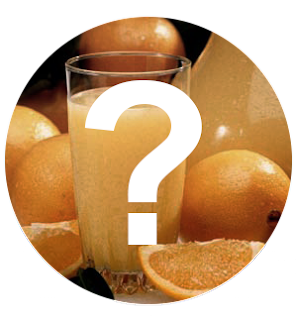 What is the Ultimate “Orange Juice” Orange? Did you drink a glass of orange juice today? If you did, there’s a very good chance (except if it was fresh-squeezed…lucky you!) that the sweet, bright-colored beverage you enjoyed came from one particular type of orange. But unless you’re in the citrus business, you probably don’t have any idea what that variety is. We’ll help you out by making this quiz multiple choice. 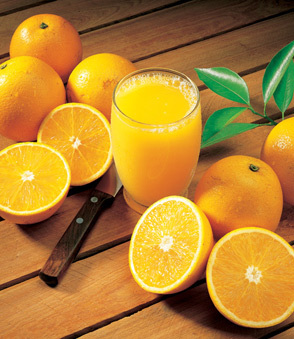 Most processed orange juice comes from which variety of orange? As a matter of fact, the Valencia is considered the “gold standard,” if you will, for orange juice. (You might even spot some bottles and cartons proudly claiming that they’re “100% Valencia.”) Its wonderful flavor profile is the one people in this country and even around the world recognize as “perfect orange juice”—bright, tangy, balanced, and sweet. 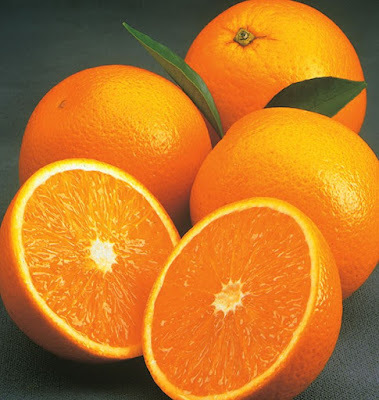 The juice of the Valencia is also gorgeous, with a very bold, vivid orange hue that consumers really like. Valencia juice also stores and freezes wonderfully. 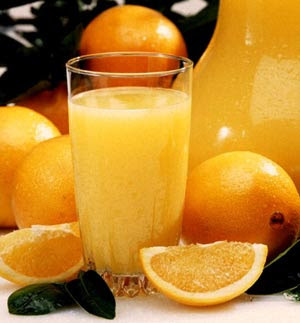 With some types of citrus, you actually have to drink the juice right away or it will develop a bitter aftertaste. This may not be a problem for us at home, but it is for large bottlers, which is why the always-reliable Valencia is such a star. Valencias account for about 50% of the oranges grown in the state of Florida, and most of them do go to the juice market. This variety first made it to the United States in the mid 1800s, where it’s thought to have been perfected by a grower named William Catskill. Catskill named his masterpiece after the city of Valencia in an orange-growing region of Spain. Valencias used to be a big deal out in California, but these days their US production is almost all down here in Florida, where our weather is perfect to produce plenty of these very juicy, sweet fruit. Here’s another neat thing about Valencias: their season is quite a bit later than many of our other oranges. When Navels, most tangerines, and even Honeybells have finished up, the late-maturing Valencia is just starting to come in, in great quantities. They continue to be sweet, delicious and at their prime well into April and even beyond. Here are a few recipes calling specifically for the juicy, fully rounded, very “orangey” flavor of Valencias or Valencia juice. Valencia Orange almond cake We’ve posted this type of almond-whole orange cake before! If you’ve never tried it, you need to—so moist and incredibly fragrant. Agua de Valencia— Who can argue with an authentic Spanish cocktail made with freshly squeezed orange juice and champagne (and a few other things)? Not me. Valencia orange marmalade--Here’s a fun way to use some Valencias—try this homemade marmalade. The natural pectin in the seeds provides thickening power. Blood orange and Valencia orange salad with olive vinaigrette-- A lovely winter salad with both blood oranges and Valencias, plus a rich olive vinaigrette.